There’s no better time than the beginning of a new year to take a good look at your finances and make a money plan for the next twelve months. Here are 12 easy steps, one for each month, to help you save money and manage your financial life. Tackle each of these challenges and watch your savings grow and debt shrink. 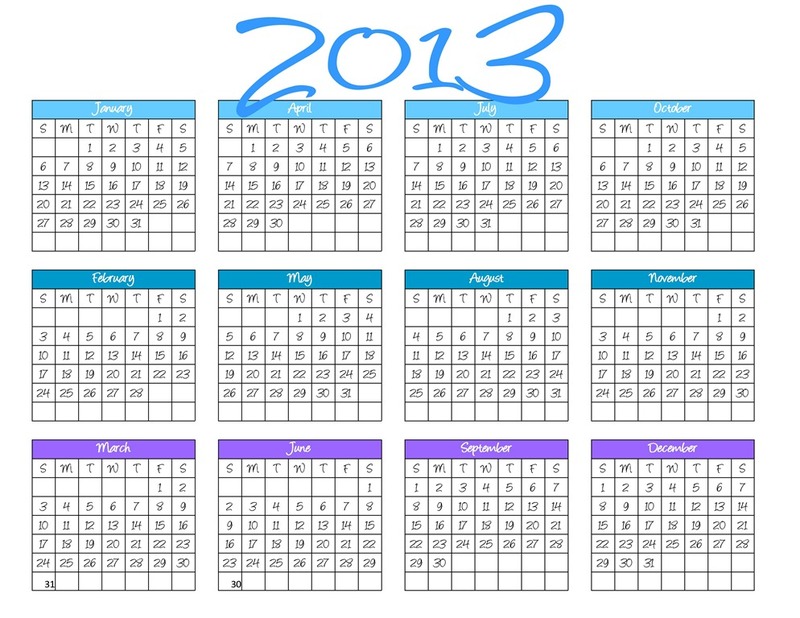 January: The first thing you should do to ensure your financial health in 2013 is to sit down at the beginning of January and prepare your budget for the year. This includes charting your income and expenses, developing a filing system for important financial documents and receipts and planning for unexpected financial obstacles. A few hours of planning now will serve as a helpful roadmap for the remainder of the year. February: During February we celebrate love and remember some of our greatest presidents. In order to honor the presidents this month I suggest that you start saving them. Pay cash for as much as possible (always a good practice anyway), and then when you receive change, save it. To build the savings quicker, stash your Lincolns (aka, five dollars bills), but even good old George Washingtons will make an impact when done consistently. Budget too tight to save paper? You can still save coins and bank them at the end of each month. Putting away just six five-dollar bills each month will net $360 by time you ring in 2014. March: The first day of spring will arrive during March and that means it’s time for spring cleaning. It’s the perfect time to pull things out of your closet and storage spaces that you no longer need and sell to others. This may mean hosting a garage sale or posting items on an online auction site. Your challenge is to get rid of what you no longer need and earn a little pocket change in the process. April: Now that you’ve eliminated some physical clutter, thing about some other things you could eliminate from your budget. Perhaps you could cut off your cable or landline? What about eliminating your coffee, bottled water or vending machine habit? Are you paying for memberships you don’t use? Take some time this month to examine your life and see what you could do to free up extra cash. May: One challenge I like is to see how low I can get my electricity bill to go. This involves adjusting the heat or A/C a few degrees, shutting off the lights as much as possible, using a clothes line instead of a dryer and unplugging all appliances when not in use. Start these practices now and then monitor your bill to see how low you can go for the rest of the year. June: If you’ve completed each money challenge so far, congratulations! You are halfway there! June is a great time to re-evaluate your budget and adjust based on how your year has gone. Did you get a raise or unexpected money? Maybe you are still stashing your spare change and want to increase your savings. Maybe you’ve run into some unanticipated expenses. Take a few minutes to run a financial check-up and ensure you are still on the right track. July: July is about celebrating our American independence. This month your challenge is to focus on your financial independence by paying down debt. Use some of the money you’ve saved thus far by paying extra towards debt. Maybe you can pay $100 extra on your car payment or student loan or pay off that last bit on your credit card and then cut it up in a celebratory act. This will put you a few steps closer to a life without those pesky loan bills and even peskier high interest rates. August: One of my favorite things to do in the summer is read by the pool, so that’s your challenge this month (or by the beach, in the park, etc.) Oh, I’m not taking about that latest best seller, but a finance book or magazine. One of the best ways to control your budget, grow savings and live in financial freedom is to understand how these things work. Ask a friend or run an Internet search for suggestions, and then swing by your local library. It may not always be the most entertaining read, but I guarantee that if you follow through on this challenge, you’ll be financially smarter. September: Your challenge for September is to throw a party! Not just any old party but a swap party. Invite all your friends to bring old clothes, jewelry, craft supplies, dishes, knick-knacks, etc., that they would like to part with. Everyone can leave what they don’t need and take any items that they do need. Anything that is unclaimed at the end of the party can be donated to a charity, thrift store or consignment shop. October: As we head into the holiday season, get serious about list-making and doing research before shopping. Make a rule to not purchase anything that isn’t written on your shopping list. It’s the impulse purchases that can really poke holes in your budget. Also, take time to compare the prices of your frequently purchased items to find the best store, use smartphone apps to check the costs at other stores and online and be aware of what constitutes a good deal. November: November falls right in the middle of the holiday eating season with the climax a day devoted to feasting. In November your challenge is to fast. Oh, don’t worry; you can still enjoy your turkey and pumpkin pie! I’m talking about a financial fast. This is a perfect month to fast from things like buying clothing, entertainment items or shoes. Take your greatest money spending temptation and fast from it—you’ll probably get double of it next month anyway! December: Congratulations if you’ve made it this far and have successfully completed every challenge. There is just one more and hopefully it’s fun and easy: Learn a new skill that will help you save money. Maybe you can pick up sewing or knitting to make your own clothing or accessories. Maybe you could follow through on some of those do-it-yourself cleaning or beauty products you’ve liked on Pinterest. The possibilities are limitless. Just pick something that you would enjoy and that could be useful and will result in savings. Next Are You Man Enough to Worship?